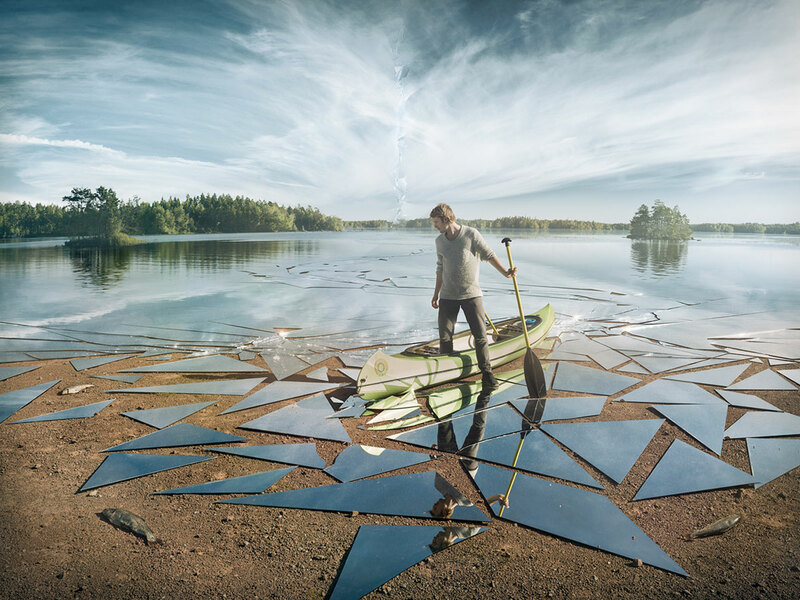 “Impact” is the latest photo manipulation by artist and photographer Erik Johansson (featured previously). On Behance, Erik says he has been working on this image for the last few months and it actually involved him purchasing, breaking and photographing 17 square meters of mirror! For the shoot, the mirrors were transported to a stone pit along with a boat and model. He then manipulated the resulting photo into the result you see above. For those interested, Erik will be releasing a behind-the-scenes video on YouTube this week explaining how he created the final image.